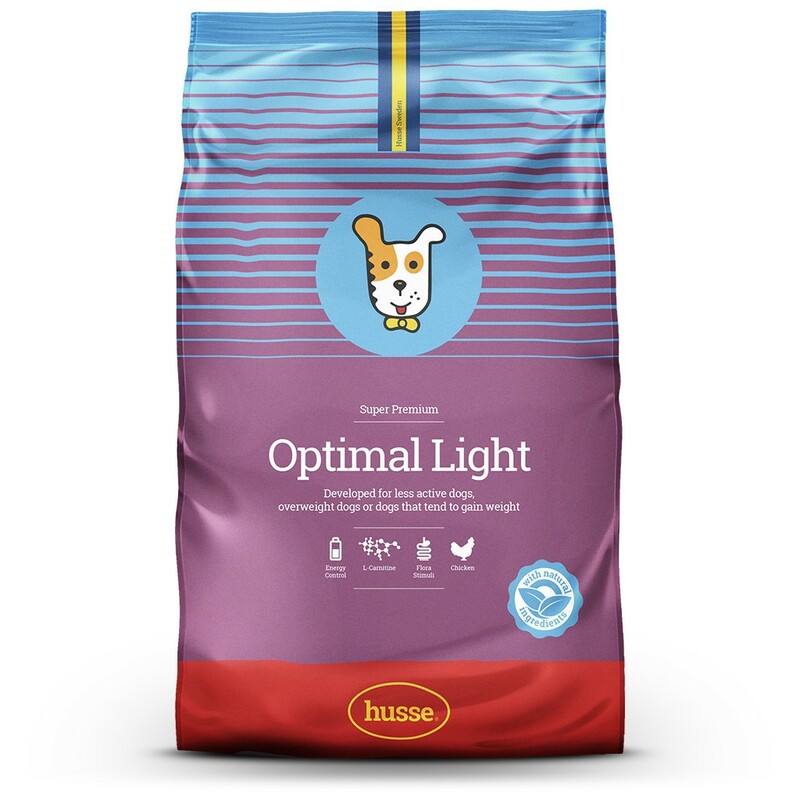 Super Premium quality food for obese or overweight dogs; dogs with diabetes or dogs prone to rapid weight gain. Complete food for our less active or overweight companions, as well as dogs with diabetes or weight-gain issues. 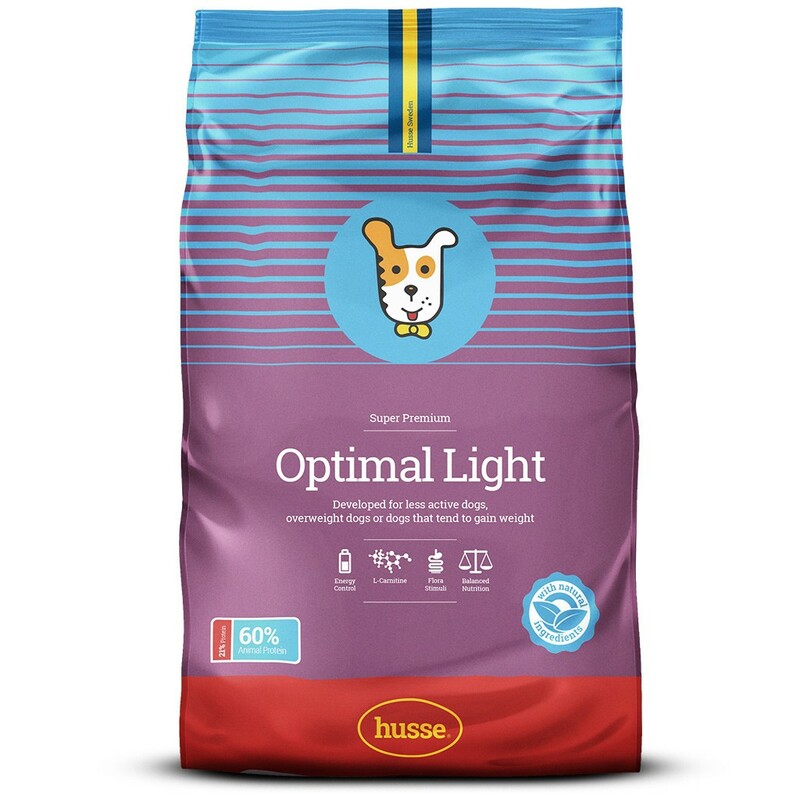 Husse Optimal Light contains super-premium ingredients with high nutritional value. 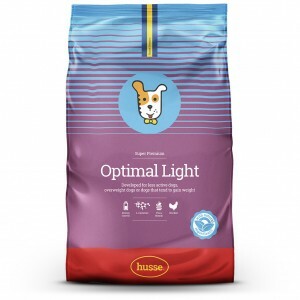 Highly digestible, this superlight product will keep your dog in excellent shape. chicken, wheat, wheat meal, rice, beet pulp, animal fat, linseed, hydrolyzed chicken protein, dried fish meal, salmon oil, yeast, dried whole eggs, fructo-oligosaccharides, salt, lecithin, sea algae, tagetes extract, grape seed extract, green mussel extract. protein 21.0%, fat content 10.0%, crude ash 6.0%, crude fibre 3.0%, calcium 1.0%, phosphorus 0.8%. Nutritional additives: vitamin A 17500 IU/kg, vitamin D3 1600 IU/kg, vitamin C 200 mg/kg, vitamin E 475 mg/kg, β-carotene 1 mg/kg, E1 (Iron) 201 mg/kg, E2 (Iodine) 3,1 mg/kg, E4 (Copper) 8 mg/kg, E5 (Manganese) 63 mg/kg, E6 (Zinc) 110 mg/kg, E8 (Selenium) 0.2 mg/kg, chondroitine 400 mg/kg; Antioxidants: tocopherols.